Nobody ever cared or dared to remove this dot. At least this is what I thought until the Geocities Archive image search started to deliver the first results some days ago. We only have 33% of all images indexed right now, so these are not the final results, but as for now there are 130 girls dancing through the geocities ruins. Closer look detected that two of them are LACKING THE PIXEL. They come from the Thongchai “Bird” McIntyre fan site. Bird is number one popstar in Thailand, if to believe the Wikipedia article. This article btw is nothing compared to information and visuals one can get on him from his fans’ pages on the Geocities. Discography, news, Bird’s appearances in films and TV shows are properly documented. 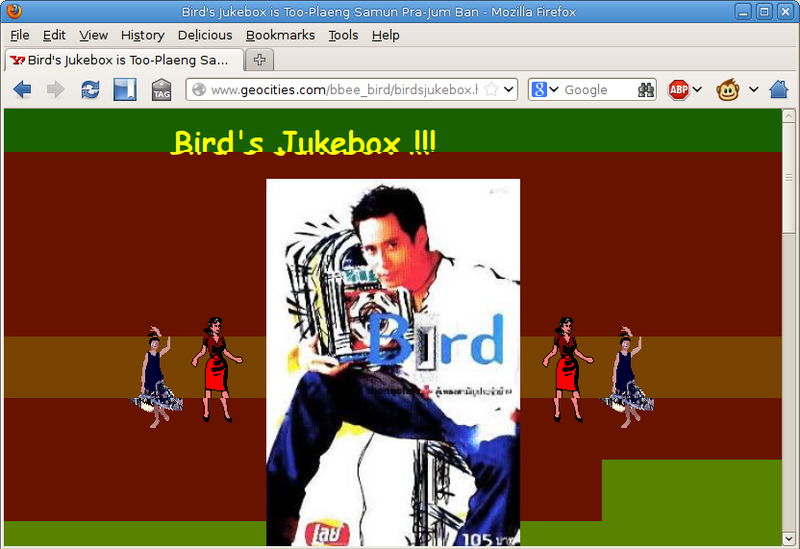 In the beginning “Bird Thongchai McIntyre Thai Top Superstar of all time” web site was in the Hollywood neighborhood http://www.geocities.com/bbee_bird/, then it moved to the vanity profile http://www.geocities.com/bbee_bird. In 1999 the pages migrated to its own domain http://www.bbbird.com/, only the homepage is there now, the rest is in the Internet Archive. 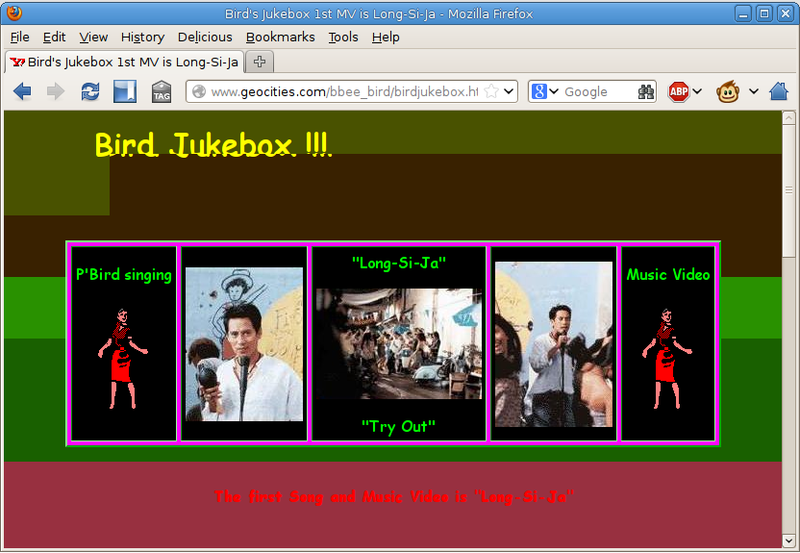 It would be great to know if it was the webmaster of bbee_bird (or may be even Bird himself?!) who removed the pixel, or did she or he found it like this, with the pixel removed, in one of the collections not known to me. I wrote to all the email addresses associated with this website, but didn’t get any answer yet.